Discussion in 'Introductions & Farewells' started by Haynes, Nov 15, 2015. Please teach me how to PVP, to mine, and how to chat to all guys. beautiful, welcome to the forums ! I can't even pick up my own pickaxe, so..
lol did someone get that he's joking? I can teach you how to pvp if you come to annihilation, just join like you do every day "new guy"
Annihilation is a team-based PvP gamemode with 4 teams, Red, Blue, Yellow, andGreen. Your team's objective is to destroy the other 3 team's nexuses, while protecting your own. Each team has their own quarter of the map where they can gather resources, build defenses etc. You can join a team in the pre-game lobby by using /team join (color). Every player is in a pseudo-adventure mode, meaning block breaking is only possible with the correct tools. Your team wins when it is the last one with a nexus. The game is split up into 5 phases, each phase lasting 10 minutes. Phase 3: Diamond ores spawn in the center of the map. Witches spawn in their huts. The Nexus is the most important block in the game. Each Nexus only starts with 75 hit points, and when mined it will lose 1 HP each time, or 2 In Phase 5. When mined it makes a very loud anvil sound at the base, or a light note block sound if you aren't close enough, to alert the team their nexus is being hit. Once a team's Nexus is destroyed, that team will no longer re-spawn. The remaining members of the team will remain in the game until they die, meaning they can still attack and destroy your nexus. In order to win, your team must be the last one with a nexus. If your team's nexus is destroyed, the team receives +10, +20 or +30 XP for 4th/3rd/2nd place, respectively. Winning the game rewards the entire team with +100 XP. Gathering resources is crucial to victory. The game places every player in adventure mode, meaning you will need proper tools to harvest blocks. i.e. A pickaxe for ores & stone, an axe for wood, and so on. You can safely smelt ores in your Enderfurnace, located around your base. It has particles around it similar to an Enderchest along with a message when you open it up. Only you can see inside this furnace, allowing you to smelt safely. Each map has only one! You may wish to check out the maps and see where to find the mines. Melons- These are your primary source of food and can be found in a farm within the team base. A sword of any type is required to harvest them. Melons disappear but will respawn back in a few seconds. Logs- These are nearly everywhere on all the maps. All team spawns usually have a log farm near the base, and most maps have trees scattered around which you can chop. Logs will also respawn very quickly. Ores- Your basic Coal, Iron, Gold, Redstone or Emerald mines. When you mine an ore block, it will turn into cobblestone and add the drop directly to your inventory. You will need a proper pickaxe type to mine the ore. (ex: Iron pick for gold) The ores respawn after a short time, depending on the rarity of the material. 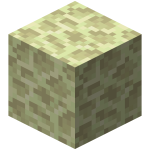 Gravel- Often found in the team spawn or awfully close. This is the source for flint, feathers, string, bones and arrows. This is your source of bow and arrow making materials, you will need to make a shovel first. Gravel respawns very quickly. Diamonds- Diamonds spawn ONLY at the center of the map, and only in Phase 3 or later. They require an iron pickaxe to mine, and respawn after 30 seconds. Teams will often fight over the mine all game long. As you mine, you will also get experience you can enchant with. You can enchant your gear using your team's enchanting table, usually located near your team's nexus. Gold ingots can be used at the shop signs near your base to buy useful items, such as gear or brewing ingredients. Potions can turn the tide in battle, and of course invisibility is useful for sneaking past defenses. Glowstone and Gunpowder- Witches will spawn starting in phase 3. Like vanilla witches they will poison you, and throw harming potions. Kill them and they will drop Glowstone and Gunpowder for brewing powerful potions. If the player takes ANY form of damage while invisible, the effect is broken. This includes environmental (fall damage, fire) or players/mobs/entities (arrows) hitting you. If the player breaks ANY block while invisible the effect is broken. This includes tall grass! Any other action will NOT break the invisibility effect - such as eating, placing blocks or dealing damage to players. Remember however though while invisible particles still appear around your character model. When you have selected a team you will be speaking in team chat. Only your team can hear you which allows you to discuss tactics in private. If you wish to talk to everyone on the server put a "!" before your message (example: !Red team is the best). You are able to toggle and filter many messages which are shown in chat. A full list of the commands and what they do can be found here. He's not new lul he has tons of kits.